Launched in September 2013, the Jupiter variomatic scooter laid down the foundation for TVS Motor Company’s successful tenure in the ever-demanding domestic scooter market. Having always positioned itself as the second best-selling model behind Honda Activa, the Jupiter has seen increased acceptance in recent years. 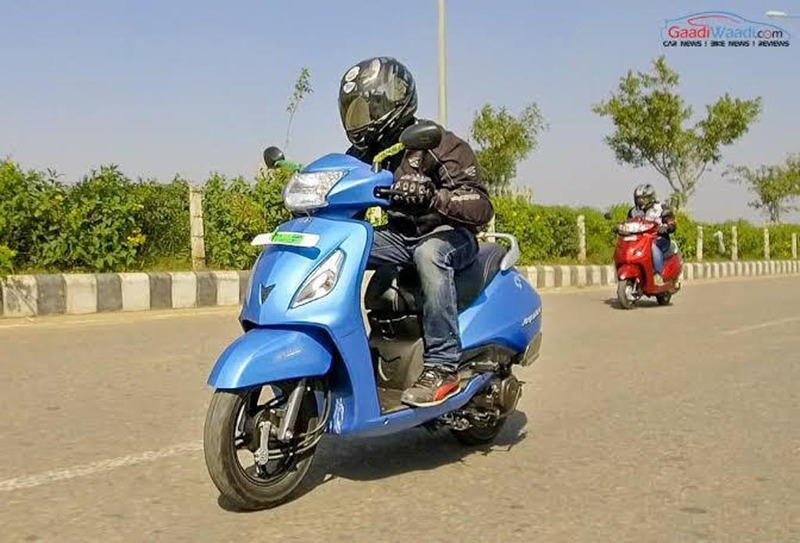 In line with its popularity, TVS draws a huge chunk of volume courtesy of the 110 cc scooter and in July 2018, it was announced that over 2.5 million units were retailed in India. It was also the fastest scooter to reach a million mark in just over 30 months while the last half a million was sold in a period of just 10 months. With a total of 3,38,988 units sold in October 2018, TVS endured a massive 25.4 percent YoY growth. Holding 16.5 percent market share, the Chennai-based manufacturer’s sales surge last month was mainly due to the Jupiter and Ntorq. The 110 cc scooter witnessed 26 percent YoY sales increase, as it recorded the highest ever figure of 1,02,132 units on a single month. Compared to the previous month (September 2018), 11,394 more Jupiters were sold and it could partially be down to the launch of the Grand edition. The TVS Jupiter Grande entered the market on October 4 and it features a new digital analogue instrumentation with econometer apart from several cosmetic updates. It includes chrome treatment on the side panels, mirrors and the fender while there is a brand new LED headlamp with position lamp below it. 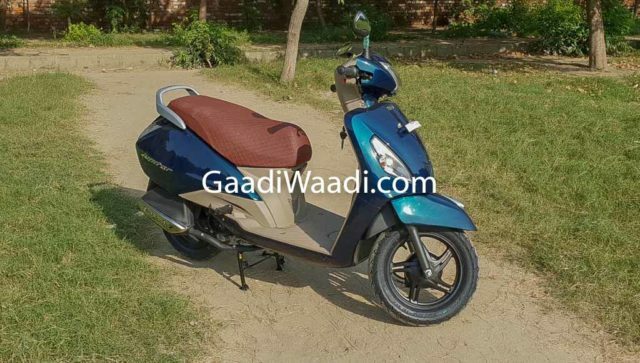 To have a distinctive stance, it has a new Starlight Blue paint scheme as well and it blends well with the maroon seat and overall design of the Jupiter that chiefly rivals Honda Activa 5G. Additionally, the Grande badging and silver-finished pillion grab bar can also be found in the new scooter. No mechanical changes have been implemented as the Grand continues to get powered by the 109.7 cc single-cylinder engine with maximum power output of 8 bhp and 8 Nm torque, and is mated to a CVT transmission.